These chicken breasts stuffed with spinach, pecans, and Gorgonzola cheese, then coated with Parmesan, oregano, and garlic have unbelievable flavor. Spinach stuffed chicken breasts make a fabulous main dish for a special meal. Place one chicken breast between two pieces of plastic wrap. Using a wooden mallet pound the chicken breast to 1/4 inch thickness. Repeat until each chicken breasts is 1/4 inch thick. In a shallow dish mix the Parmesan cheese, Panko breadcrumbs, oregano, and the garlic powder. In a medium bowl, mix the spinach, chopped pecans, and Gorgonzola. Place 1/4 of the spinach mixture in the center of each chicken breast. Fold the smaller ends in first, then the longer ends. Secure with toothpicks. 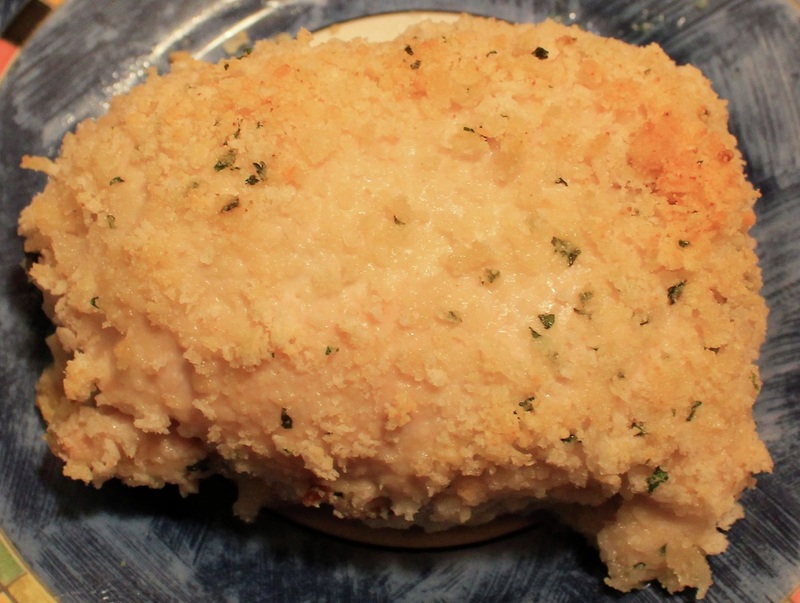 Brush each chicken breast with the melted butter, then coat with the Parmesan/breadcrumb mixture. After stuffing and folding the chicken breasts, place them in the prepared baking dish. Refrigerate for at least 2 hours (or overnight). Remove chicken from the refrigerator 20 minutes before baking. Pre-heat oven to 400 degrees. Bake chicken for 25- 30 minutes, or until done.